Often in our lives we think of ways of making our houses more efficient and clutter free when everything is already out of control. When moving into your new house you have an amazing opportunity to get things right from the outset. In those first few days after you’ve finished unpacking, everything will be in its right place and your home will bring you vitality rather than be an energy sink. If you pick up the right habits at the beginning, you can actually keep it this way! You may have developed messy habits over your life, it’s easily done. To keep your living space organised it takes practice with repeated processes to form good habits instead. If you try to become a new cleanly and organised person overnight, and take on too much at once, it is likely that you will not keep up your new lifestyle choice and your house will slowly start building up with clutter again. Wanting to be organised can just be an impulse, and simply acting on impulse is not the way to stay organised. Instead, start with simple tasks, like cleaning and putting away the dishes after every meal. 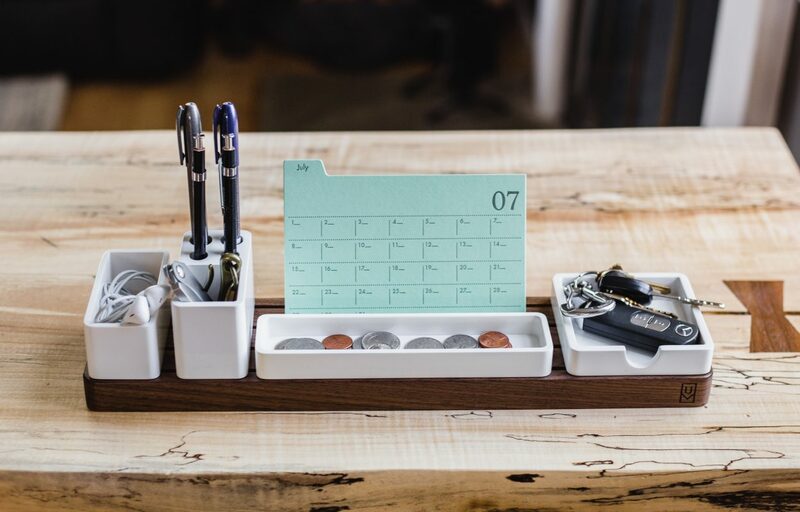 This will train your brain to commit a little of your time every day to keeping tidy. In the long run, cleaning up a little everyday will be easier and quicker than having to do a deep clean every month, with the added benefit of living in an organised space. You have probably passed by a glass on the coffee table or your shoes messily on the floor and just ignored it. Rather than not paying attention to these areas, clean them up as soon as you notice them. These little things are the beginnings of a completely cluttered home. Sorting them out now rather than dealing with them later when your home is a complete disorganised mess is much easier and, again, helps develop small habits that are necessary to turn you into the organised person you aspire to be. Even better than cleaning clutter as you walk past it, a great new habit to form is to just put things away after you use them. This will be a bigger change in your life and you will not be expected to be able to follow this rule all of the time, but this habit can actually be quickly formed when you realise how much quicker and easier it is to clean what you use rather than clean what you have previously used. Start your morning every day with the one of the easiest cleaning tasks, and this small task can make a huge difference to your own safe haven. Making your bed should only take a few moments each morning, but it will make your bedroom seem much more neat. Looking at a made bed compared to a messy one will calm the mind and make it easier to keep the rest of your home organised. Start your day right by paying attention to this small detail, and it may make a drastic difference to your life beyond just keeping your house tidy. Whether you are washing the dishes or you are washing clothes, there are three steps to the process; washing, drying, and putting away. We all forget this third step, I know I do. If we think of washing our things as only the actual act of washing, we will often reward ourselves for completing the task when it is only actually half done. Maybe you’re culpable of leaving your clothes folded up in your room but not put away, or stacking the dishes in the dish rack when there are still dishes in there. This equals clutter, and reinforces that clutter is ok, which is the start of the slippery slope to a disorganised home. Moving homes can be an exciting opportunity to introduce these habits into your life, as well as for introducing you and your family to new exciting experiences. It is important, however, that you get the best help you can when moving all of your possessions and furniture into your new house. World Moving are here to help! We will make the moving process as easy as possible for you with our packing services, where we also organise the shipping. No move is too big for us, so if you need help moving get a quote from us here. For any further information, do not hesitate to contact us today – your house movers Auckland.